A couple of weeks ago I mentioned that I’d written a song with my musician friend Paul Hand. Well it’s out today and proceeds from its downloads will go to the UK child bereavement charity Winston’s Wish. Dry Eyes is an autobiographical tale about the aftermath of the sudden death of my wife, Desreen, in November 2012. After being struck and killed by a car that mounted a pavement in West Hampstead, Desreen’s death left me widowed at 33-years-old and the sole living parent to our two-year-old son, Jackson. My early experiences of grief led me to believe that it was my duty to be strong and stoic and that, as a man, I should hide my pain from those close to me, including my child. The lyrics of the song document the confusion I felt about the struggle and tension between strength and weakness caused by the shock of sudden bereavement. In the weeks that followed my wife’s death I was told time and time again to “be strong”. I dutifully followed this counsel and wore my apparent strength like a badge of honour. But inside I was crumbling and I had never felt weaker. Dry Eyes is about me telling myself it’s okay to show people how I really feel. It’s about realising that ‘strength’ doesn’t have a role in my grief. It’s about finally finding the courage to openly express my pain and cry over the loss of my wife, my best friend and the mother of my only child. The song itself came about after Paul, along with a group of our friends, took me away for a weekend earlier this year. Having just released his first EP, Paul and I talked about trying to write something that could act as lasting legacy for my son. We hoped to be able to capture the emotions we all felt following the death of his mum to help him better understand in years to come. Having never collaborated together before, Paul shared an initial indie guitar-based song structure that he had written and developed from an idea he sang into his phone with Desreen in mind. He then shared the music with me and invited me to provide the words. I emailed him back a couple of hours later with the lyrics, the theme of which made him completely rethink the style, mood and tone of the track. It soon shifted from an indie track to a ballad featuring stirring piano and strings, written, performed and produced in Paul’s own project studio in his Manchester home. The final result is a sad but beautifully performed song. Some may find its words difficult to listen to. But it contains a message that Paul and I wanted to share and we both hope that it can help others feel like they are not alone in their anguish. 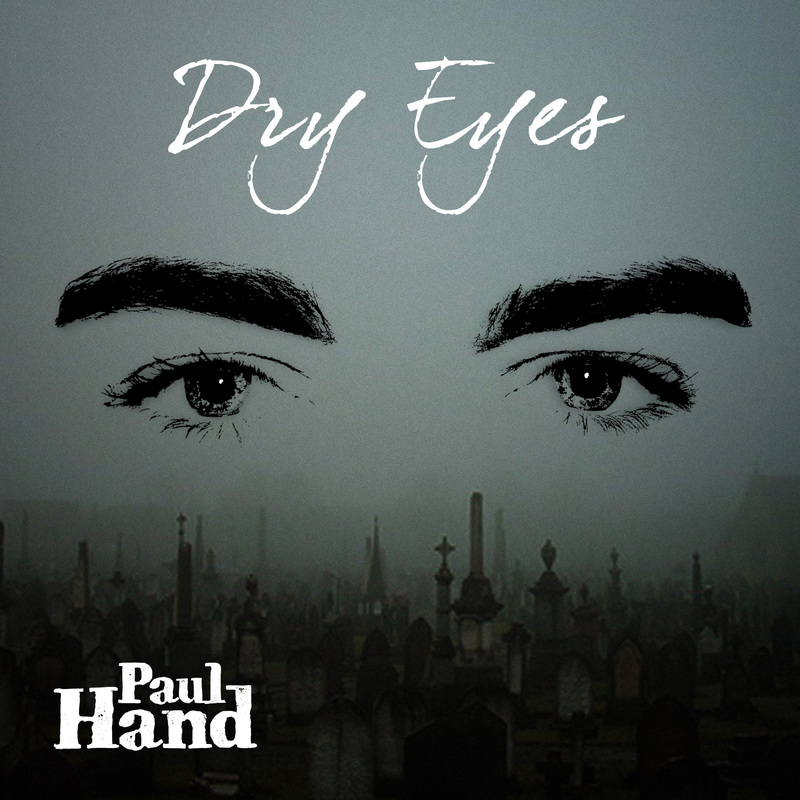 Dry Eyes is available to download on iTunes and Amazon from today (just click on the links). The music has been composed, performed and produced by Paul Hand, I provide the lyrics and the track was mastered at Abbey Road Studios. Proceeds from the song’s downloads will go to Winston’s Wish – a UK child bereavement charity that helped me to understand how important it’s going to be to capture memories of days gone by for my son’s future. Doubtless he’ll only listen to it if there’s a drum and bass remix but I’d do anything for him so I’m sure it can be arranged. What a wonderful and very powerful thing to do! I love the song – it’s magic in all respects and yet another thing your son will cherish and be proud of! You’re doing a great job and he’s lucky to have you as his father Ben! This entry was posted on April 29, 2013 by Ben Brooks-Dutton and tagged Abbey Road Studios, Amazon, bereavement, Desreen Brooks, download, Dry Eyes, grief, iTunes, lifeasawidower, loss, lyrics, male grief, music, pain, Paul Hand, single, song, tears, track, widow, widower, Winston's Wish.